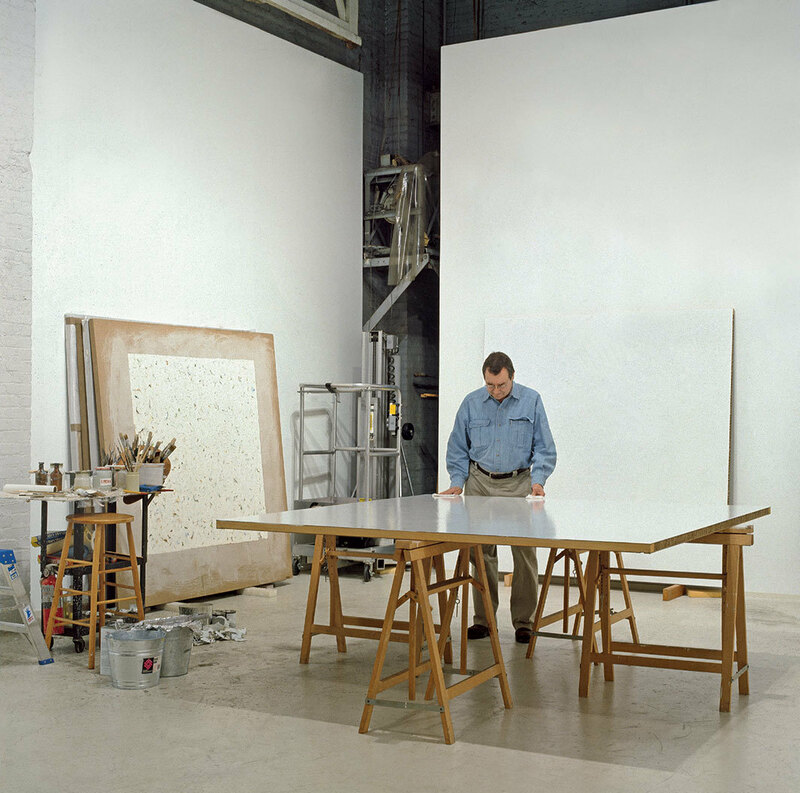 Robert Ryman in his studio, New York, 1999. Photo: Bill Jacobson. © Robert Ryman/Artist Rights Society (ARS), New York. EVEN THOUGH I wrote several essays on Robert Ryman’s art, I hardly knew him. I did meet him a few times, but on each occasion he was rather reserved—extracting information or comments from him was like pulling teeth. My guess is that he was shy, even though other writers have been able to conduct remarkably rich interviews with him over the years: Obviously, I did not have what it takes. No matter, for he did not have to speak in order to make a statement. Eloquent silence. My first encounter with him is a case in point. It was during the installation of his retrospective at the Centre Pompidou in 1981. Ryman sat on top of a large unopened crate, alone in the vast Galeries Contemporaines on the ground floor. Many works were resting against the walls; others were in chariots. Crates and wrapping material were strewn everywhere. After introducing myself I asked him what he was doing. “Waiting,” he said calmly. “Waiting for the electricians to fix the lighting.” Finding out that he had been doing so for a good half hour, I concluded that something was wrong, perhaps lost in translation—surely the electricians’ coffee or cigarette break was not supposed to take that long—and I rushed upstairs to the curatorial office. (At the time, it was located on the third floor.) It turned out that the electricians were waiting elsewhere for Ryman’s call, to be transmitted via the guard in attendance, that he was ready for them to come. They were waiting for his signal that he had determined where the paintings should hang; he was waiting for them to provide absolutely evenly lit walls so that he could start experimenting with the placement of his works. This episode remained in my mind as quintessential Ryman: He had always zeroed in on the “little simple things,” as he said, that we take for granted in the practice of painting. Lighting was just another of these neglected components of the medium. Ryman did not have to speak in order to make a statement. Eloquent silence. The aesthetic integrity of this painting by Robert Ryman depends upon its being installed according to the accompanying instructions. None of its physical components and no part of the installation process should be omitted. Nor should any element whatsoever such as any sort of framing—either for protective or aesthetic effect—be added. If for any reason the painting cannot be installed exactly as the artist intends, then it is not to be exhibited. There is a Before Ryman and an After Ryman. No museum curator today would replace Mondrian’s original frames or have a Braque Cubist canvas varnished—as was still done in the 1980s. Most art historians are unaware of it, but it is in great part to Ryman that they owe their current interest in the materiality of art. 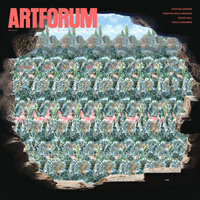 Yve-Alain Bois is a contributing editor of Artforum.